Move Every Mountain: Overcoming 15 of Life's Toughest Challenges is a nonfiction Christian Living/Devotionals book written by Shamiro Anita. Anita is a worship leader at the Grace Abundant Grace Fellowship, a singer/songwriter, and an inspirational author. Anita argues that while life is not always smooth sailing and that we all encounter obstacles that seem like mountains in our everyday lives, God is always there, watching out for us and providing places of rest and comfort after those travails. He discusses each of the “mountains” we encounter, starting with the Mountain of Doubt through the Mountain of Guilt and culminating in The Valley of Peace. Each chapter opens with a quote from Scripture and continues with a discussion of that chapter’s topic, wherein Anita gives anecdotes from everyday life as well as passages from Scripture. He then concludes with a Summary that offers the Key Point of the chapter, a Verse to memorize and a suggested Application. 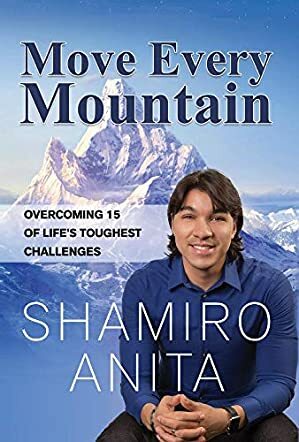 Shamiro Anita’s Move Every Mountain: Overcoming 15 of Life's Toughest Challenges is a well-written and engaging look at Christianity and the interactive role God plays in all of our lives. I particularly liked the way each chapter worked so well as a devotional and could easily see each of them being used by prayer groups for study and discussion. Anita’s approach to the Bible is practical and accessible, even to those who’ve not fully committed themselves to being active Christians. His writing style is conversational and easy, making it seem as though he’s there in the room with you and speaking directly with you. The Key Points in the Summary Sections and Verses to Memorize are brilliant and really help the reader to get the clearest focus on the topic covered. Move Every Mountain: Overcoming 15 of Life's Toughest Challenges is most highly recommended. First place to go to in our struggles is to God. Shamiro gives us action items. This book was so encouraging. I highly recommend reading it especially if you are in the midst of a difficult life challenge. It will bolster your faith and give you a fresh hope. Like all of Shamiro’s Music, this one is well worth reading.